SMM group is a product of twenty plus years’ experience originating from a small Legal Office with now five established offices around Malta, the head office in the capital city Valletta. SMM Group comprises of SMM Consultancy Services Ltd and SMM Advocates. The separate and distinct entities within the group operate in collaboration with each other and assist whenever a certain area needs specialized attention. SMM Group’s services cover Dispute Resolution and Litigation within Corporate and Commercial space. We also specialize our expertise within private, local and international clients. Within a vast range of industries, we also extend our niche expertise in shipping and super yacht registrations, employment and industrial relations, transport and international trade, taxation, mergers and acquisitions, real estate within the construction space & Projects and Logistics. Dr. Sammut started his academic career by first attaining a Diploma in Law and Administration and then successfully completed his studies in 1993 attaining a Degree in Doctor of Laws provided by the University of Malta following which he immediately set up his private practice in various parts of Malta with the main office being in Valletta. 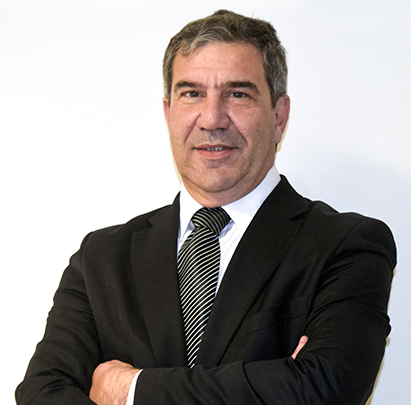 He was the founder and senior partner of Sammut and Zrinzo Azzopardi whose partnership was dissolved to pave the way to a more dynamic organization catering for Fiduciary services, Corporate and Legal matters under the name of SMM Group of which he is a partner, co-founder and senior Lawyer. Through the years Dr. Joseph has acquired a vast experience and served as legal counsel for various organizations both locally and abroad in the fields, but not limited to, infrastructural, planning, investment, financial, banking, transport, insurance, business, and legal private matters. Dr. Sammut was elected for 19 years to The Maltese House of Representatives on the Labor Party ticket in 1998, 2003, 2008 and again in 2013. He was a Shadow Minister for Transport and Maritime Affairs. He was a Spokesperson for the Self Employed and Spokesperson for The Housing Authority and Agriculture and Fisheries. Dr. Sammut is the Senior Legal Advisor to the Parliamentary Assembly of the Mediterranean (PAM). Joseph actively participated within the Council of Europe and IPU. He is a Member on the Financial Services Tribunal and Legal Consultant for The Ministry for the Economy & Small Industry. He was also a member on the Committee for Planning & the Environment. He was also the Founder and councilor for the Zurrieq local council and President for Zurrieq Civic Council. Dr. Gianella Farrugia leads both the Immigration Law and Maritime Law practices at SMM Advocates. SMM Advocates is a boutique law firm with their Head Office in Valletta (Malta’s capital city and this year’s European capital of culture). In the period that Dr. Farrugia has been with SMM Advocates, she has gained an impressive reputation in legal circles. Currently she is putting the finishing touches to a complicated maritime legal case which promises to be a path breaking legal case in Maltese and International circles alike. In her younger days, Dr. Farrugia was a noted musical vocalist in Maltese musical circles and is still involved in performing arts. She is an active member in the Scouts Association of Malta, endorsing the ideals of the Scouts movement and voluntary work in general. Dr. Farrugia can be seen at various expo’s, seminar’s and maritime exhibitions and finds a way to keep up with the latest legal updates in both Maritime Law and Immigration Law legal statutes. Dr. Farrugia is a member of the Maltese Chamber of Commerce, Malta Maritime Law Association and the Malta Chamber of Advocates. 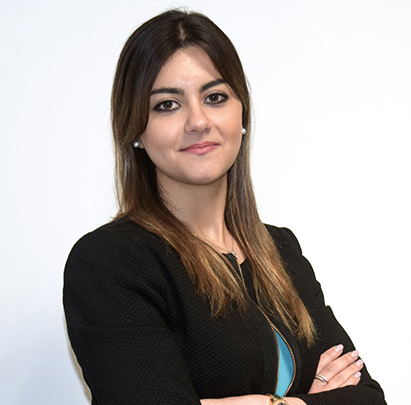 Dr.Josephine Farrugia Mifsud started working with SMM Group as a lawyer in 2014. As a practicing advocate Josephine has always formed part of the local litigation team. 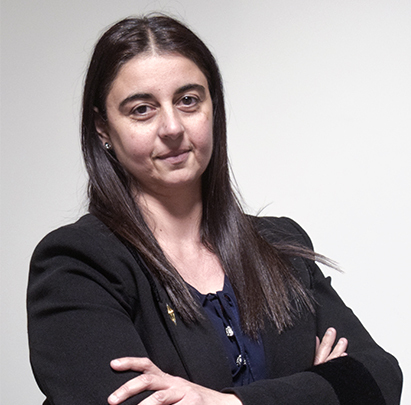 Josephine Farrugia Mifsud specializes in Dispute Resolution and Litigation where she represents local and foreign clients in front of both the local superior and inferior Courts of Justice. She also deals with litigation referred to the Malta Arbitration Centre and the various Tribunals established by law including the various Malta Environmental and Planning Authority Tribunals. Josephine Farrugia Mifsud specialized in both General Civil and Criminal Matters as well as on Commercial matters. Josephine Farrugia Mifsud deals with all aspects of Real Estate and Property Law, including lease and sale, contract law, servitudes, emphyteusis amongst others. Josephine Farrugia Mifsud has also successfully appeared in constitutional cases in which her client’s proprietary rights had been breached. 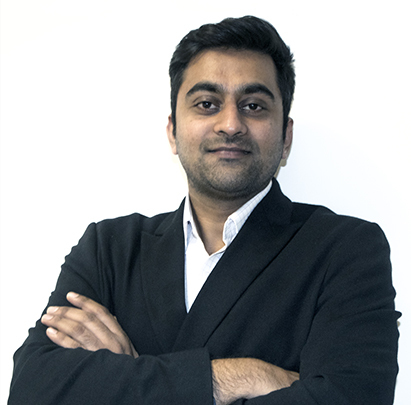 Anshuman (Andrew) is a career-oriented person with the efficiency to strive and reach defined goals. He loves to interact with people and understands the different kinds that are around the world. An avid reader who holds a very strong knowledge and experience in various aspects from the industry starting from Sales, Marketing to Delivery and Recruitment, HR. A very hard working and self-proclaimed person who is dedicated to whatever is taken up as an initiative. 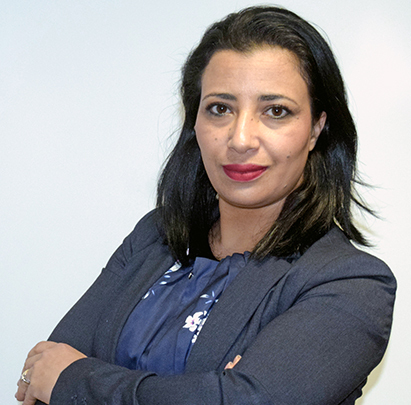 Rachida holds a wide experience into front desk where she has worked with Huge Hotel Chains across Malta. She works as a secretary at SMM Group since 2018 where she is responsible for preparation and process of legal documents and papers, schedules and makes appointments and also makes photocopies of correspondence, documents and other printed matter.